We’re getting ready for a great season and wanted to fill you in on some of the great changes that will be coming up for summer of 2016. Our team has had numerous meetings since the close of last season so we could be better prepared for this season. 2015 was our first season as the new owners of Flowers River and it was a learning experience for sure. Most of all, it allowed us to get a better understanding of how everything operated and what we might be able to do to improve the experience for our guests. After careful consideration we have made a plan that we feel will serve our guests now and in the future. We have just ordered all new hotel quality mattresses and all new, really nice quilted sleeping bags. We’ve also ordered all new outboard motors for the canoes and a brand new canoe to replace the not so seaworthy aluminum boat at the Top Pool. Speaking of the Top Pool, when we arrived on site last year, the camp there was virtually unusable. We are not going to be able to replace the camp this year, but believe we have come up with a good alternative. Our plan is to build a platform where we intend to build the replacement for the now unusable camp. We are going to install a 12′ x 14′ prospector tent on the platform, complete with cotts, sleeping bags, and a wood stove. We are also going to install a solar powered bear fence around the perimeter. At the main lodge, we will be installing a new, larger capacity reverse osmosis water filtering system so that we can avoid flying bottled water into the camp. We have also ordered a new propane dryer and will be enclosing the now screened in wader/equipment room. We will also install a wood stove in the wader room, so that anglers will be able to get their gear dried out on those damp Labrador days. The biggest change at the main lodge, will involve a temporary restructuring of bedrooms. 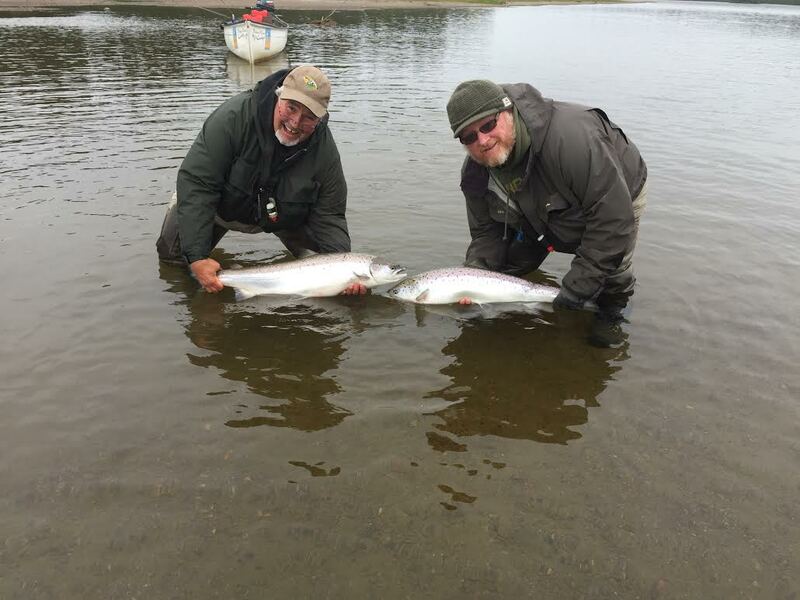 For those of you that have been with us before, you are aware we house 6 anglers in the main lodge and 4 in the Labrador room. Two of the bedrooms in the main lodge are small and currently have bunk beds, which are less than ideal. We thought of every possible way to avoid having to have guests in the bunks and eventually came up with the following plan. In 2017, we intend to build a second Labrador room to house 6 guests. There is no way to get enough material to the site to build this structure this summer, so although this new building will be a great addition, it doesn’t solve the problem for this season. Given the amount of space in the current Labrador room, we are going to build a temporary bedroom there, which will allow us to house two additional guests. We will then be able to get rid of the bunks, and convert those rooms into 2 singles. We understand that this is not ideal and apologize for any inconvenience this might cause, but really didn’t want to go through another season with people trying to crawl into the top bunk. Beyond that we have revamped the menu, had a few staff changes, ordered lots of rain (not on changeover days) and put in an order for schools of large salmon to enter the river on a regular basis. We look forward to seeing you before long.